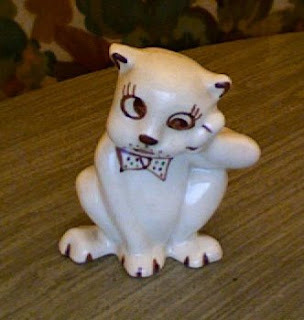 Perhaps this was a decorative item for a dentist who liked cats. Or a vet who specialized in cat dentistry. Or a get-well item for someone with an impacted molar. I don't think you'll see another quite like it.